Today I’m going to show you, how to configure Routing Information Protocol (RIP) on the Cisco Routers. The RIP is one of the oldest distance-vector routing protocols and work perfectly with IPv4. The next generation of routing information protocol for IPv6 is know as RIPng (RIP next generation). So in this article we are going to test the RIP with IPv4. It would be good if you have a physical Cisco lab for testing RIP, otherwise you can use GNS3 , Cisco Packet Tracer or equivalent network simulator software. 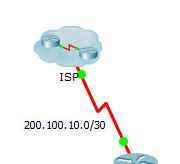 Here I’m using packet tracer and the Cisco RIP routing lab I have created is downloadable from the below link. Just download and configure the basic routing with the IP addresses which assigned for each router interfaces. It help your to practice some basic router commands also. I’m sure you can do it, but in case of requiring some help, read the basic router commands from this post. 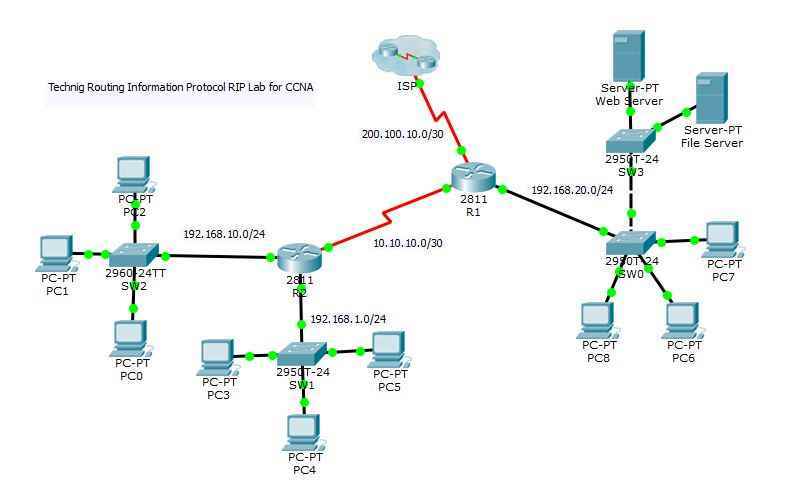 Downlaod the non configured Routing RIP Prococol lab that need basic configuration and this oneRouting RIP Prococol – CCNA Lab -Ready for RIP Lab for CCNA is configured with basic and essential configuration. So let’s start configure routing information protocol in this lab. Go to your lab and open the router 1 (R1) which is the main router connected to ISP router. Do the following command for RIP Routing. 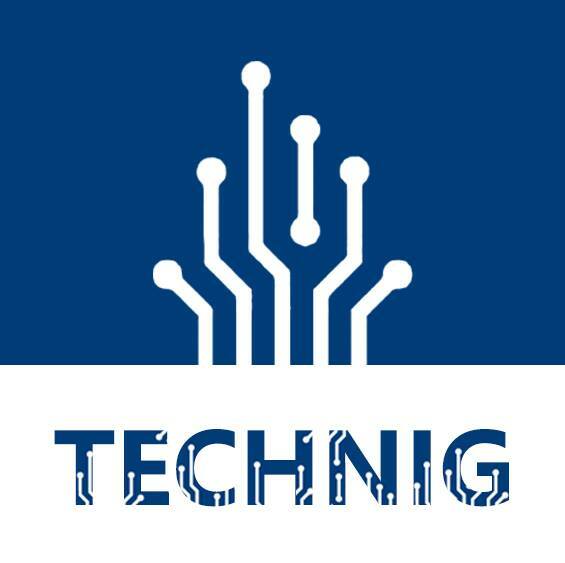 After enabling router with enable command then go to privileged mode with configure terminal command. Now with router rip command, enable routing for all routers. The version 2 command, configure routing information protocol with version two. And next set all network id like the above network command. I have set all three network which connect directly to R1. Now go to router R2 and configure routing protocol the same as router R1. On router 2 you must assign the network ids of all connected network the R2. For ISP router, just enter the network id 200.100.10.0, because only one network connected to ISP router. OK, your routing task with RIP is accomplished successfully, now all network devices can communicate with each other without any problem through routing information protocol. Test them with ping command and be sure they must ping correctly. If they are not ping with each other, so your routing has some problem. You should troubleshoot it. 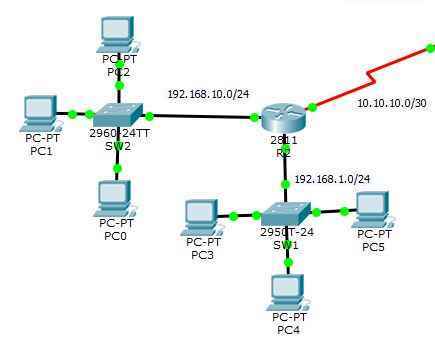 Here you can download my completed Routing RIP Lab project which work fine. If you have any question, just ask me through comments. I will reply you as soon as possible. Thank you for the well-described article.